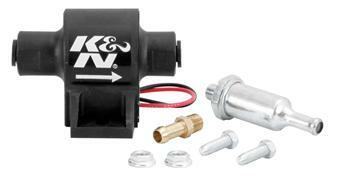 K&N Fuel Pump UNIVERSAL - Lightning Motorsports - Selling Speed since 1996 ! 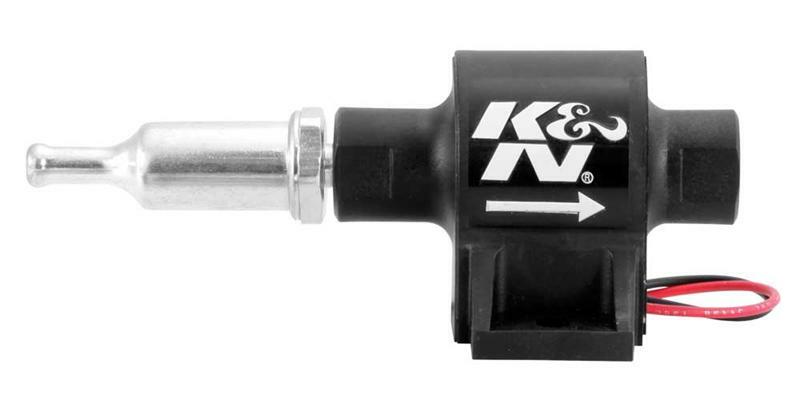 K&N Inline Fuel Pumps provide premium quality fuel system hardware with a universal design that fits a wide variety of applications. Compatible with most fuels, these self-regulating 12-volt pumps help prevent vapor lock and flooding. Engineered to pump between 15 to 34 gallons per hour between 1 to 10 psi, these products come with a fuel filter and includes all necessary installation hardware.